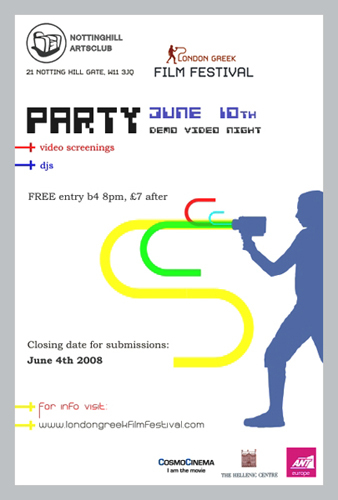 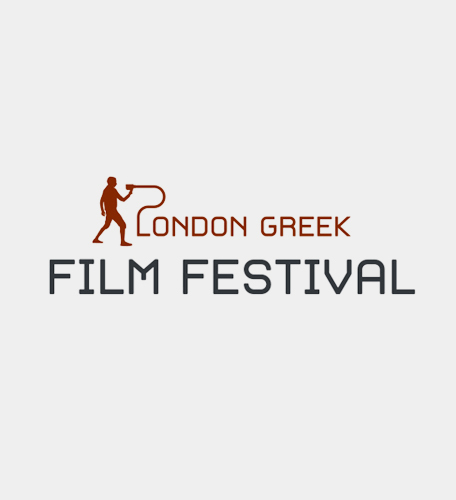 The Project, based on an outline image of a young figure with a moving camera, was aiming to capture the existential notion of the festival, to introduce through cinematography modern Greek culture to a wide audience in London. 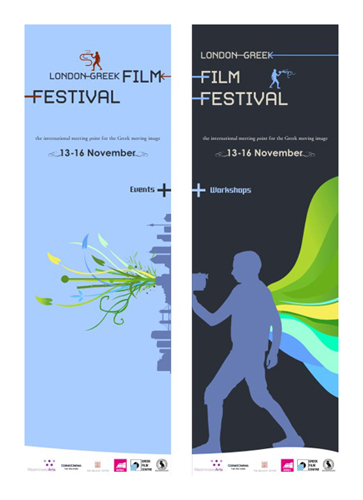 I was working for a 5 months period closely with the festival's Artistic director to produce a series of work including logos, brochures, posters, stands, web banners, web layouts etc. 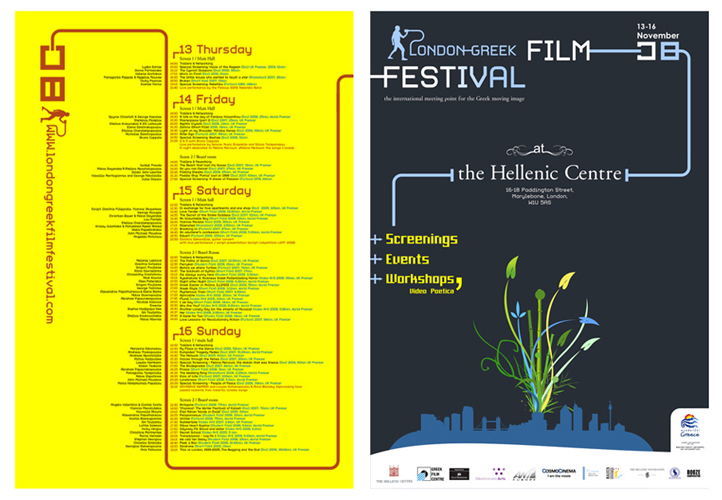 Design Brief : To create a coherent visual identity for the first London Greek Film Festival.